San Francisco is so much more than its year round fog and Golden Gate bridge. It is the spiritual home for some household names: Twitter, Uber and Airbnb. What is it like to do business there? 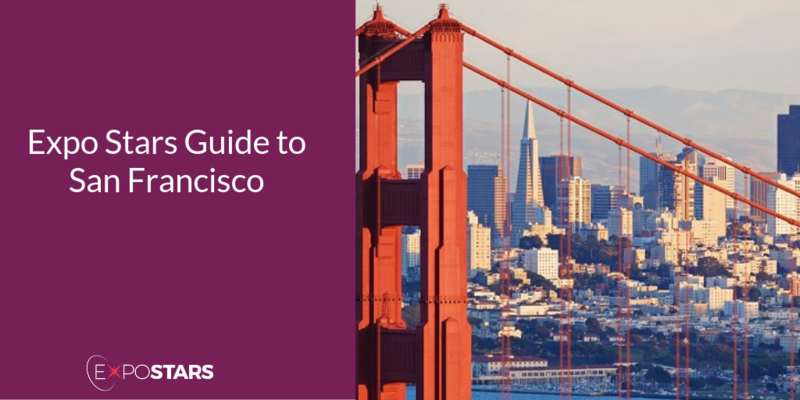 San Francisco is home to a growing number of technology giants and startups, so you will be in great company, surrounded by some of the best business minds on the planet. And all in a beautiful bayside location. If your business relies on tech in anyway at all, you want to exhibit in San Francisco. Nowhere else, except in the Bay Area, can you find such a concentration of high-quality talent, founders, and investors. Fly in to San Francisco’s International Airport and then it’s only a short half hour drive (taxi or Uber) to downtown San Francisco and the Moscone Convention Center. The Battery - Situated within a private members' club, guests get an all-access pass to The Battery’s exclusive facilities and events. Palace Hotel - San Francisco's most historic hotel offers luxurious lodgings downtown. Hotel Zephyr - This extraordinary hotel is in a handy location by Fisherman's Wharf (easy access to some great food). Golden Gate Bridge - visit the infamous art deco suspension bridge, open to cars, bike and foot traffic. Alcatraz - The notorious prison that was once home to Al Capone and featured in the movie The Rock is now a museum with a tour - it is claimed the prison is inescapable. Fisherman’s Wharf - take a trip to the waterfront and enjoy a bowl of clam chowder in a sourdough bread bowl. Yank Sing - these guys are famed for having the best dim sum in San Francisco. Wait for the carts with the soup dumplings or the shrimp har gao to pass your table and dig in. Swan Oyster Depot - they keep things simple here with fresh oysters and cracked crabs and a whole host of other fresh seafood.